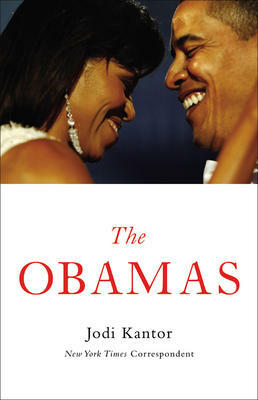 Jodi Kantor is a first-rate reporter and she has done a thoughtful, sensitive job in this book on the Obamas and their life in the White House. The topic is huge, as we have all watched. Barack Obama has written his own story, before becoming President of the U.S., in two widely-read books: Dreams from my Father, and The Audacity of Hope. Kantor is editor of the Arts and Leisure section of “The New York Times” and has been covering the Obamas since 2007. Her book tells the complex story of what happened to Barack and his wife Michelle and their two young daughters when they move in to the White House and have to deal with the hopes and promises of the stunning campaign of 2008. The book includes sketches of the layout of the White House and the near impossibility of living a private life, what with the almost constant access of public tours to many rooms. Even the Rose Garden is public. Michelle Obama had always hated the effects of politics on her life with Barack. Here they face the problems together. A fair account is given of the various officials in charge of the Obamas’ public life, while trying to give them as much privacy as possible. We have all read the ups and downs of his legislation: i.e. the stimulus package, health care, etc. The President’s relations with business leaders were difficult at first; they developed considerably as time went on. The famous couple remains loving, and attractive. Barack retains his reserve and control; Michelle keeps her eye on the things that mattered to him all along: the chance to change and improve things. This book gives reason to both admire and hope for future developments. Previous Previous post: Esther Fueter-Matharu Signing “Man on Trial” and “De-Feet” on Saturday, March 10, 11:00am-1:00pm! Next Next post: R. J. Harlick and Lesley Harman to Sign Their Books on Saturday, March 17!